We would like to acknowledge the Coast Salish People of the Songhees and Esquimalt Nations for their gracious hospitality. It is an honour and a distinct pleasure to work within their traditional territory. The Victoria Native Friendship Centre (VNFC) has been in existence for over 45 years. VNFC provides services to an estimated 20,000 Aboriginal people living off reserve in the greater Victoria area; as well as the 5,000 residents from the First Nations communities in the southern Vancouver Island region, in addition to a sizeable Aboriginal population from across Canada. VNFC takes great pride in their exceptional approach to First Nation social issues. 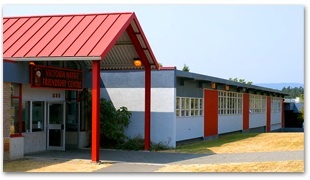 In 2006, the Victoria Native Friendship Centre signed a 99 year lease with the School Board of British Columbia, to take possession of a 38,000 square foot facility. Addressing the Community’s immediate needs, VNFC delivers Career and Employment services, Health and Social programs, vibrant Youth initiatives, and dynamic Arts and Cultural practices. In addition to our programs and services, our wheelchair accessible facility also offers, gymnasium, amphitheatre, meeting rooms, and outdoor basketball courts and playgrounds. It's an exciting time at the Victoria Native Friendship Centre. "We gratefully acknowledge the financial support of the Province of British Columbia through the Ministry of Indigenous Relations and Reconciliation"